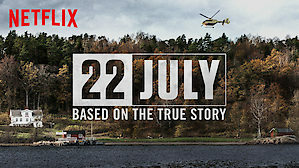 A dramatization of Norway’s deadliest terrorist attack, in which a right-wing extremist murders 77 teens at a youth camp in 2011.The movie is very compelling and makes you proud of how the Norwegian government and people respond to this tragedy. A few young survivors show, with grit and lots of work, they can overcome their wounds and help a country heal. Discussion led by Dave Anderson. Discretion Advised: There is a brutal killing seen in the first 30 minutes. Our intention is to show the whole movie, but will pause the movie to let some of the audience leave the theater and return when that scene is over.